Central Coast Mariners trialist Usain Bolt has a two-year contract offer from Valletta, the Maltese champions confirmed. 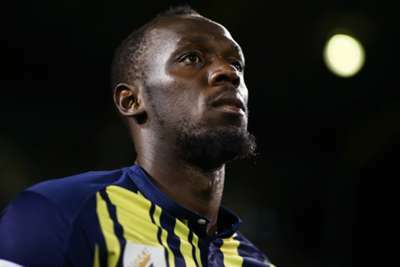 Former sprint king and eight-time Olympic champion Bolt – on trial with Australian side the Mariners in his bid to fulfil his dream of becoming a professional footballer – was linked with an unnamed European club following his two-goal haul on Friday. Bolt scored twice in his first start against Macarthur South West United before the 32-year-old Jamaican's agent Tony Rallis revealed a two-year deal was on the table. Now Valletta, who were taken over by Abu Dhabi-based Sanban Group in September, want Bolt to spearhead their Champions League aspirations. "A champion is always welcome and at Valletta FC we believe nothing is impossible," Valletta managing director and CEO Ghasston Slimen told ESPN. Bolt – who retired from track and field in 2017 – has been training with A-League outfit the Mariners since August.